Almost all preventive medicine maintains a healthy cell shape, because if they are healthy, then the whole body is healthy, which means that there is no need to treat any organs separately. For many years, scientists have been studying the nature of the physiological processes that are constantly occurring in the cells of the human body. One of these processes is free radical oxidation. With any pathology, this process is enhanced, turning into oxidative stress. This starts the damage mechanism of many body systems, which will be discussed in this material. When the cells are damaged, especially as a result of oxidative stress, the mechanism of the body’s malfunction also starts. Oxidative stress occurs due to the accumulation of free radicals in the body. It is their excess in the body that so negatively affects human health that everyone should know about this information. Many scientists have established an association of the oxidative process in the body with diseases such as psoriasis, bronchial asthma, diabetes, hypertension, rheumatoid arthritis, ischemia of the heart and even with Alzheimer’s disease. 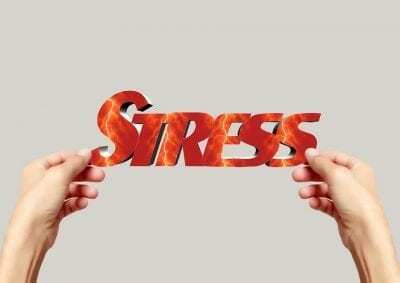 Very often, in connection with a person’s experiences of stressful situations, constant psychological stress, being in an unfavorable environmental situation leads to metabolic disturbances in his body, as a result of which the harmful substances like free radicals accumulate in him, causing various diseases in the human body, including and psycho-emotional. Due to the accumulation of toxic-reactive substances in the cells, the process of oxidation of lipids and DNA occurs in the body. Known fact that the aging process is closely related to stress. If we consider oxidative stress from the point of view of chemistry, then in connection with it the ability of the cell to recover is significantly reduced. If the abnormalities are extreme, then this can cause cell death. With a stable work of the human body, the free radicals that are formed daily in the body are neutralized by the cells due to its protective functions. If the body has a large accumulation of radicals, it causes inflammatory processes in the tissues. Due to the fact that the circulatory system fails, starting to act incorrectly, there is a violation of the activity of both the nervous and immune systems. An interesting fact is that free radicals can affect not only the cells of the human body, but also their own chains. Medicine is not able to fight the daily attacks of free radicals on the human body with the help of any drugs. However, antioxidants, which donate their electrons to damaged cells, are able to reduce their damaging effects. Following from all of the above, it should be remembered that a healthy and agile lifestyle, proper nutrition and the use of vitamins and minerals, if necessary, prevents cell oxidation, reaching maximum antioxidant activity. Previous PostPrevious Photophobia: Why Are Your Eyes Sensitive To Light?